Said to encourage clarity , integrity and harmony. Tiger Eye believed to be a very strong grounding and survival stone helping one to have the strength to look after of oneself. 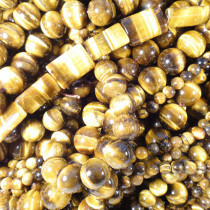 Commonly brown and bright gold in colour. 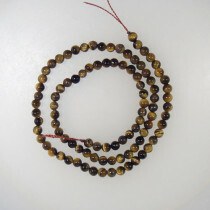 A-Grade Tiger Eye Gemstone Round 4mm (~100pce Strand) - 40cm/16'" Strand. 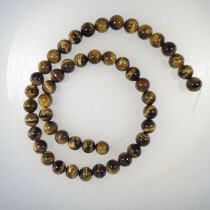 A-Grade Tiger Eye Gemstone Round 6mm (~66pce Strand) - 40cm/16'" Strand. 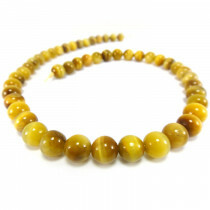 A-Grade Tiger Eye Gemstone Round 8mm (~50pce Strand) - 40cm/16'" Strand. 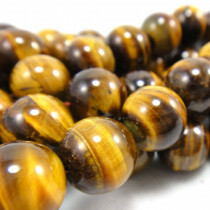 A-Grade Tiger Eye Gemstone Round 10mm (~40pce Strand) - 40cm/16'" Strand. 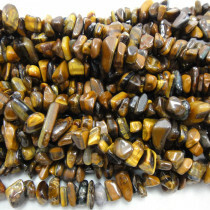 A-Grade Tiger Eye Thin Pillow 10x14mm Gemstone Beads (28pce Strand) - 40cm/16'" Strand. 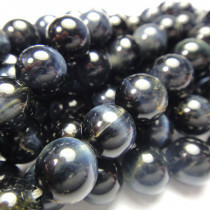 A-Grade Blue Tiger Eye Gemstone Round 8mm beads (50pce Strand) - 40cm/16'" Strand. 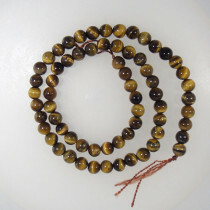 Tiger Eye Large Stone Chips 8x12mm (~150pce Strand) - 91cm /36'" Strand. 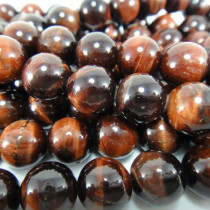 A-Grade Red Tiger Eye Gemstone Round 8mm beads (~50pce Strand) - 40cm/16'" Strand.